Monster Bean Bags - BrainstormOverload - Small design studio. Big ideas. We’re always looking for new ways to get ideas from out of the sketch book into the real world where they can be shared. 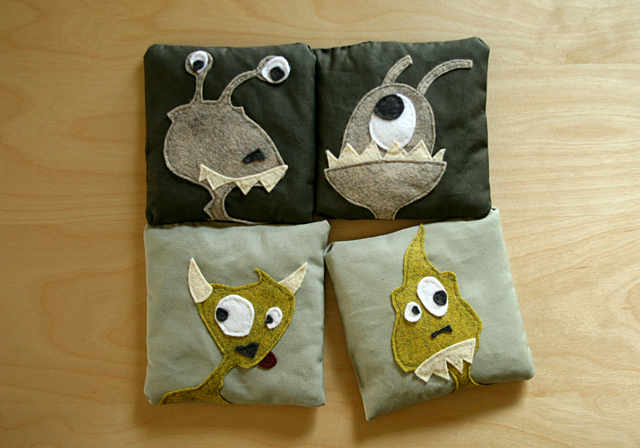 These (obviously) hand-sewn monster bean bags go with a set of boards made out of birch plywood and oak. Kids get a kick out of the bean bags… when the adults give them a turn.